The United States of America is the wealthiest nation in the history of the world, and more charitable donations per capita flow from the US than from other nations. As a country we are blessed with both the largest percentages of Christians and millionaires. These two groups donate more money to charities than any other according to numerous reports. Because of this abundance of wealth, there are numerous scam artists who prey upon the charity and good will of the generous by flipping the script to take advantage. Earlier this year, you may have heard this heartwarming story in the national news media about this poor woman who was trying to make it home, but her car broke down when it ran out of gas on I-95 outside of Philly. A homeless vet gave her $20, enabling her to get the much needed petrol for her car. In gratitude, her and her boyfriend befriended the man and set up an online GoFundMe donation account to help this wonderful homeless veteran. As the story went viral, donations poured in and the account grew to more than $400,000. A wonderful story. Except that’s all it was, a story. The entire account was a fiction, and all three parties were involved in the scam. The vet was indeed homeless, but the couple Mark D’Amico and Kate McClure, conspired with homeless man Johnny Bobbitt and solicited his help as the face of their campaign. The plan backfired when the amounts received from good-hearted donors spiraled out of control. Greed over the size of the split of the ill-gotten gains is what ultimately undid the trio. Bobbit felt all the money belonged to him, as he was really homeless. Mastermind Mark D’Amico believed Bobbit was only entitled to a portion of the money, so Johnny Bobbitt got a lawyer and sued. As a result of the legal action and the resulting media attention on the high-profile case, the elaborate plot unraveled and all three were jailed and charged with theft by deception. GoFundMe has agreed to refund the donations collected. The Naked City was a TV crime drama broadcast from 1959-1963 and based on a 1948 film of the same name. Each episode ended with the iconic line about the eight million stories, a reference to the location, set in New York City, and implying that everyone has a story to tell. As I stated before, the USA is the land of plenty, and we do have homeless and poor, but no one staves in this country except by choice, or by malice. There has never been a famine our country, but there are many stupid people who make bad decisions and then want to blame others for their misfortune, or at least make them feel bad. It reminds me of a biblical account of a famine in ancient Samaria found in the second book of Kings. 30 When the king heard the woman’s words, he tore his robes. As he went along the wall, the people looked, and they saw that, under his robes, he had sackcloth on his body. That’s a pretty terrible tale, but it points out poor decision skills, taking advantage of both stupidity and of wealth, and while you feel sympathetic for the victims there are some people that just can’t be helped. It’s not totally clear exactly what type of help the woman is soliciting, but it is implied that she is seeking justice against the woman who scammed her. Jesus said we will always have the poor among us. I’m not into the so-called ‘Prosperity Gospel’ which preaches that God wants us to be rich and successful, because by becoming wealthy we are in a much better position to help others. There is some truth in this logic, but remember that even the Devil can quote scripture and twist it’s meaning to suit his purposes. There’s a scam out there for every legitimate cause, and they prey upon your sympathy. A ‘church by mail’ called Saint Mathews Churches of Tulsa OK is one such scam that sends out mailings splattered with scriptures and religious iconography promising great blessings in return for ‘seed offerings’. Some televangelists also fall into this category. Sometimes it’s hard to separate ‘the wheat from the chaff’. Sometimes it’s impossible, so don’t feel bad if you gave in error to a fake one. Live and learn, and move on. Good people want to help others, and every organization needs SOME funding for its own overhead. Some organizations are just ‘squeaky wheels’ that exist to cry for donations while little of the funds reach their intended targets. I’m a firm believer in supporting LOCAL organizations. The best nation-wide charities like The Salvation Army https://www.salvationarmyusa.org or Toys For Tots https://www.toysfortots.org can get by on a minimal razor-thin operating budget and have LOCAL offices that cater to the LOCAL community. If you have any concerns about a charity, you can see how they rank up to similar charities by using the https://www.charitynavigator.org/ website. Charity Navigator is the largest and most-utilized evaluator of charities in the United States providing data on 1.8 million nonprofits. This doesn’t mean that every need has an accredited 501-c charity that exists to back it. Sometimes, legitimate needs do ‘pop-up’ unexpectedly, due to tragedy or stupidity, or both. Many of these hard luck cases turn to GoFundMe.com There are many true needs out there that need to be met, but like the couple and the vet who scammed over $400,000 some of these ‘needs’ might be fake. Whenever you donate money, never donate more than you can afford to, never feel bad if you have to say ‘no’, and never, ever, EVER donate money if you feel like you are being FORCED to give. Extortion is just as illegal as theft by deception. I have heard of people who used GoFundMe to raise funds for funerals, medical expenses, and because they lost their home in a fire. I once even donated money to a homeless Superman impersonator who had been mugged, had his teeth knocked out, and was robbed of his cape and super-suit. I have also heard of people who used GoFundME because they felt they were entitled to lots of money for their upcoming birthday, or who needed rent money because ‘they just didn’t have it’. Sometimes bad things happen to good people. Sometimes people are just stupid and make bad decisions. All things come from God and you are the steward of the riches He has bestowed upon you. How you choose to distribute from your bounty is a matter of your heart, and only God can judge you because He knows the truth behind ever human heart. As always, I wish you success and happiness. 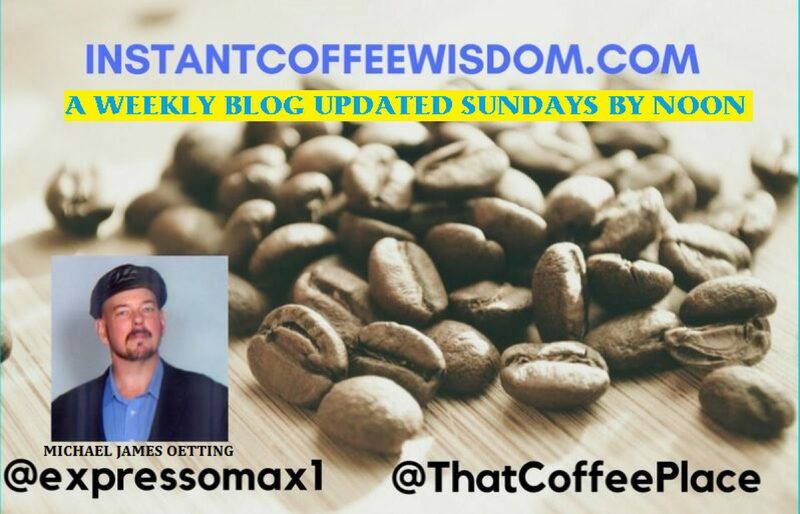 Author instantcoffeewisdomPosted on December 9, 2018 Tags Advice, Bible, Budget, charity, cyber scams, donate, economics, God, Jesus, money, religion, Toys, USA, wisdomLeave a comment on Is It Legit? Choosing the ‘right’ hand over the left! There’s an old saying, “The squeaky wheel gets the grease.” which means the problems that make the loudest noise are the ones which get our immediate attention. Whereas this may be the case in some situations, it does not always apply to every instance. This is where discernment is important, especially when it comes to donations and charitable giving. The world is a big place filled with countless problems which impact various people at different times in their lives. Everyone has some problem at some point, whether it is evident or not. You may also be familiar with another saying, “there, but for the grace of God, go I.” which is a phrase of humility acknowledging that one might be in the same situation were it not for some divine intervention in our upbringing. If you were lucky to be born in the USA, you enjoy many freedoms and opportunities not afforded to those in other counties around the world. If you were born in the 20th or 21st century, your life is radically different from someone born in the first century. Times change, but people are still people and we cannot ever truly and completely know the motives of another person, only God knows. I am not perfect, no one is, but I try to be good and do the right things in every situation. I donate on a regular basis to several worthy charities which I feel efficiently and effectively disseminate the largest possible percentage of my donations to the neediest of individuals. I can NEVER humanly know for certain if one person who benefited from my charity was more worthy than another, I can only HOPE and leave it in God’s hands. If a benevolent organization uses the lion’s share of contributions collected to cover salary and other overhead, they are still doing ‘some’ good, but there might be different organizations that are better stewards. This is why it’s important to research charities before blindly donating. There is much need in the world and there are many organizations for every cause that have duplications of their target recipients. No matter how good you might be at doing your job, there is always someone, somewhere who given the opportunity could do it better, and this also applies to charities. Every year, the local union at my place of employment sponsors a local needy family at Christmastime. The union officials frequently encourage employees to donate to support the ‘Christmas Family’. It’s a good thing, but I do not contribute, not because I am uncaring, but because I already donate substantially to other organizations that fill a similar role . One year, a union official came to my desk asking for donations, and when I declined, he asked ‘Don’t you have a heart?’ This upset me greatly, and the next day I called him on the carpet in front of the boss brandishing a stack of receipts of donations I had made to various other organizations. I made him look bad, and he did apologize, but I could have just ‘let it go’ and ignored the slight. Like I said, I’m not perfect. A successful person admits his mistakes and learns from them. Next time I will handle things better. Tightfisted means being cheap, the idea of clenching your money tightly in your hand so that it can’t be pried away. “Tithe” means a tenth or 10 percent. The tithing system described in the Bible was designed specifically to meet the needs of the religious, economic and political system of ancient Israel. Each of the twelve tribes of Israel, except the tribe of Levi, initially received an allotment of land in the promised land of Canaan. The Levites were assistants to Israel’s priests and were supported by a tithe offering from other eleven tribes. All families of those eleven tribes were to give a tenth of all produce, flocks, and cattle to the Levites. In turn, the Levites were to give a tenth of that to support the priests (Leviticus 27:30-33, Numbers 18:21-28). The Bible does urge us to be generous with our wealth and time. However, any claim that wealth, health, good fortune or other blessings will come as a result of a donation should be looked at with suspicion. Likewise never feel guilty if you must say ‘no’ due to honest circumstances. God knows your heart. Giving should be done hilariously, or with a great joy. Even if you’re in no position to make a financial contribution, but still wish to serve in some capacity, perhaps you can do volunteer work. Remember the world is a big place with much poverty, you will never be able to help everyone, and there will always be needy. You should take care of your family, friends, and other people who live close to you before helping people who are living further away or in another country. Do what you can, when you can, and do it with a glad heart. As always, I wish you success and happiness. Author instantcoffeewisdomPosted on December 2, 2018 December 2, 2018 Tags Advice, charity, Christmas, donate, finance, religion, share, USA, work1 Comment on The Squeaky Wheel?